Franklin, Tennessee is one of our favorite towns. If you remember, Three Friends and a Fork took a little family girls' tour of Franklin a few years ago. We had so much fun, I'm always up for a return visit. Recently, a really good reason to head back to Franklin presented itself. 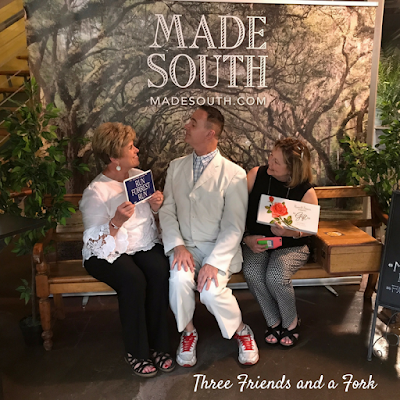 Made South announced they were their planning to hold their wildly popular market at The Factory in Franklin. The Made South Market is an opportunity for Southern vendors of high quality goods to showcase their wares. It sounded like a lot of fun, so I talked our friends, Malinda and Greg into joining us and I quickly purchased VIP tickets for the event. I also made dinner reservations for the Red Pony on Friday and Puckett's Grocery in Leiper's Fork on Saturday. Scott and I arrived in Franklin early enough on Friday that we had time to walk around town before Made South opened its doors at 5:00. I noticed Gary Puckett and the Union Gap was going to be performing at the Franklin Theater that night. If I had known, I would have gotten tickets to that, too! Unfortunately, the show was already sold out. 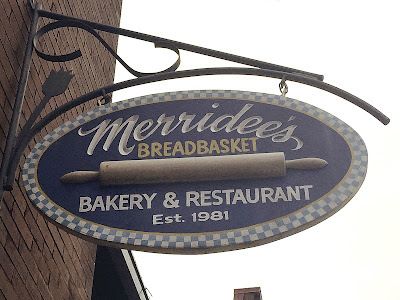 I love the store signs around Franklin and took a pictures of signs belonging to a couple of places I want to check out on future visits. I have been trying to cut my carbs, so, of course, Merridee's Breadbasket was sounding pretty good! This old pharmacy is now home to a chic, rustic restaurant, called Gray's on Main, serving southern fare. It has good reviews, so I added it to my future to-do list. I love the fact that they kept the old drug store sign. 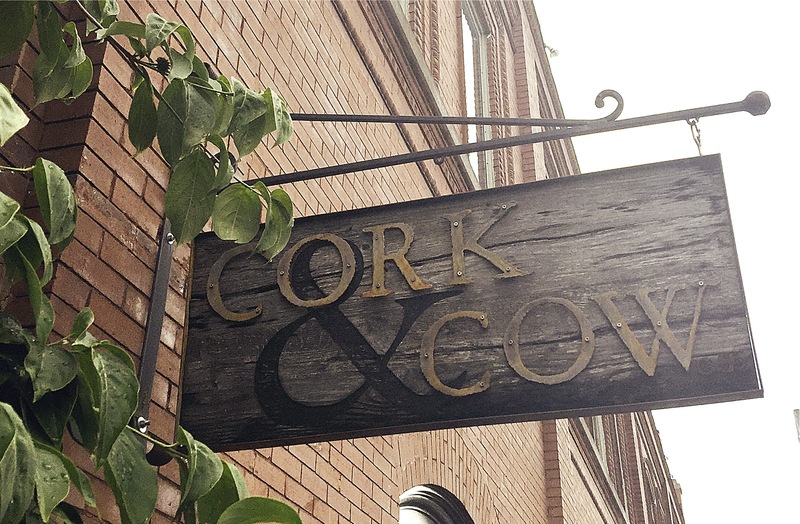 Cork and Cow is another restaurant I am adding to my list, mostly because I like the name, but also because I like their sign. 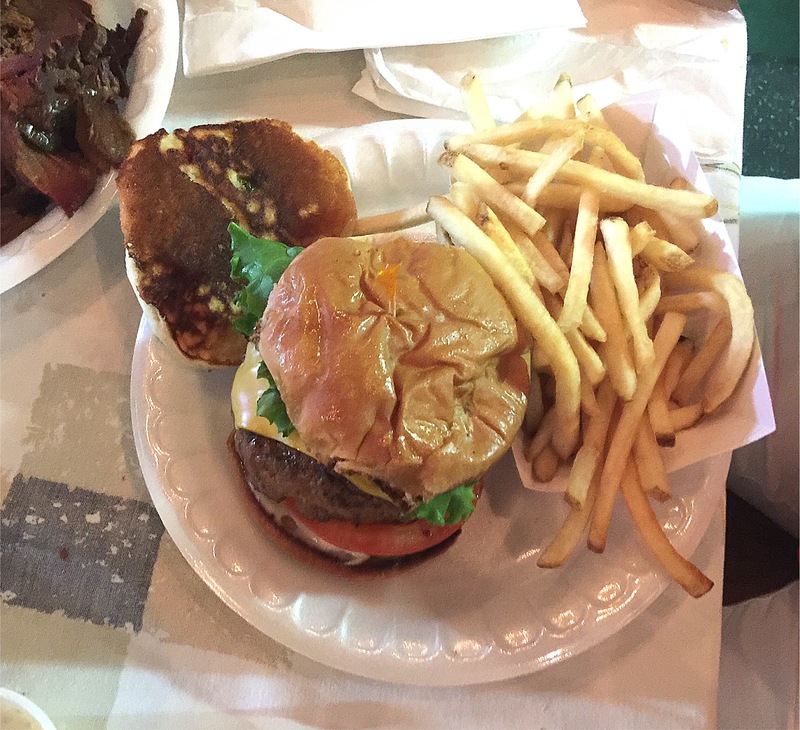 It is billed as a French steakhouse and has good online reviews. Another thing I like about Franklin? They have the cutest mannequins! This was the wiggliest bunch of mannequins I have ever seen. 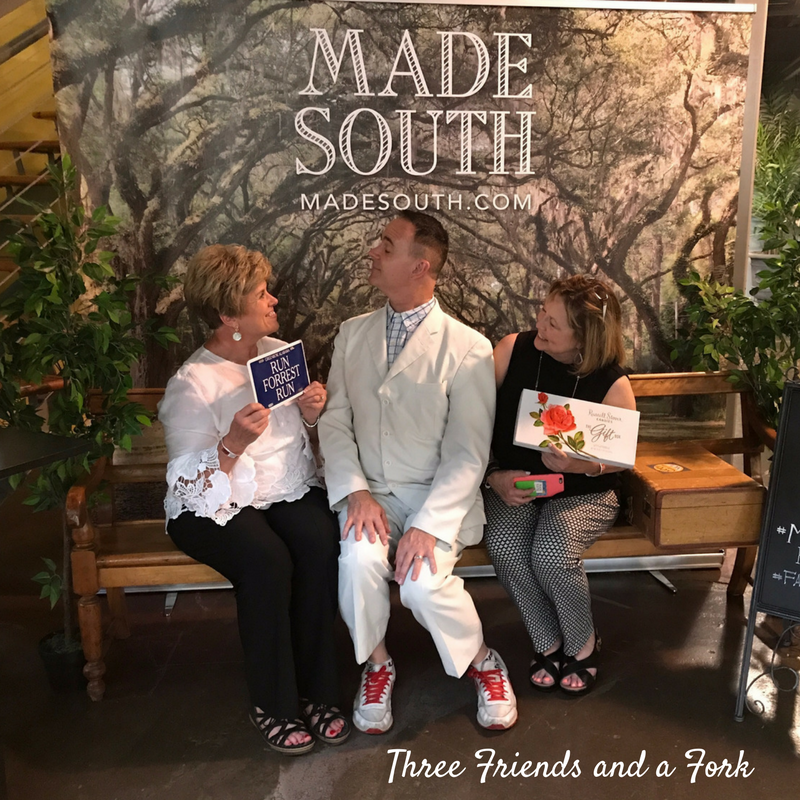 We strolled around town until it was time to head over to our hotel to catch up with Greg and Malinda and get ready for the Made South VIP event. I was anxious to see what I had signed us up for. I am sure everyone else was thinking the same thing. When we arrived at The Factory and made our way in, we were very pleasantly surprised. More than 100 vendors of everything from guns to jams and jellies were hawking their well-made wares. They were also handing out samples as we shopped to the beat of the live music coming from the Made South stage. We sampled some delicious parmesan rice from Delta Blues Rice. I am not a huge rice fan, but this was not your average rice. It was really, really good. We may or may not have bought several jars of divine jellies from One Screw Loose. With names like Jacked-Up Peach Pecan with Tennessee Whiskey, Brew Ha Habanero with IPA Beer and Blue Chip Bourbon with blueberries and chipotle peppers, how could we resist? We also picked up some flavored butters from a vendor called Wise Butter, some peach simple syrup from Eli Mason, a cookbook from Whitney Miller, who won the Masterchef competition in 2010, and several t-shirts and caps for the boys. And we tasted a lot of wonderful dishes and drinks. We were really pleased to see that several of these fine craftsmen and vendors hailed from our own Yellowhammer State. The Alabama Sweet Tea Company from Montgomery, Piper and Leaf Teas from Huntsville, John Emerald Distilling Company from Opelika and Sweet Auburn Studio from Auburn were just a few of the Alabama artists selling their creations. We shopped until it was time for dinner. We ended up cancelling our reservations at Red Pony and chose instead to eat at Saffire since it was right there in the Factory. We had eaten at Saffire before and enjoyed it a lot. This time, it was just okay. Greg had oysters. Malinda had fried chicken which she wasn't too wild about. Scott ordered the special of stuffed trout and he said it was pretty good. I had gazpacho, which I didn't really care for. The Devil of an Egg I had so enjoyed my last visit had transformed into a Devil in a Green Dress and was stuffed with avocado. It wasn't as impressive as I remembered from my first visit. I'm not sure if they were just having an off night or if they had changed chefs, but we were a little disappointed. We left Saffire and headed back to the hotel to rest up for day two. Saturday morning, we ate a quick breakfast at the hotel and then headed out. We stopped back by Made South, picked up a few more must have items, drove over to Nashville for a little more shopping and realized it was time for lunch. 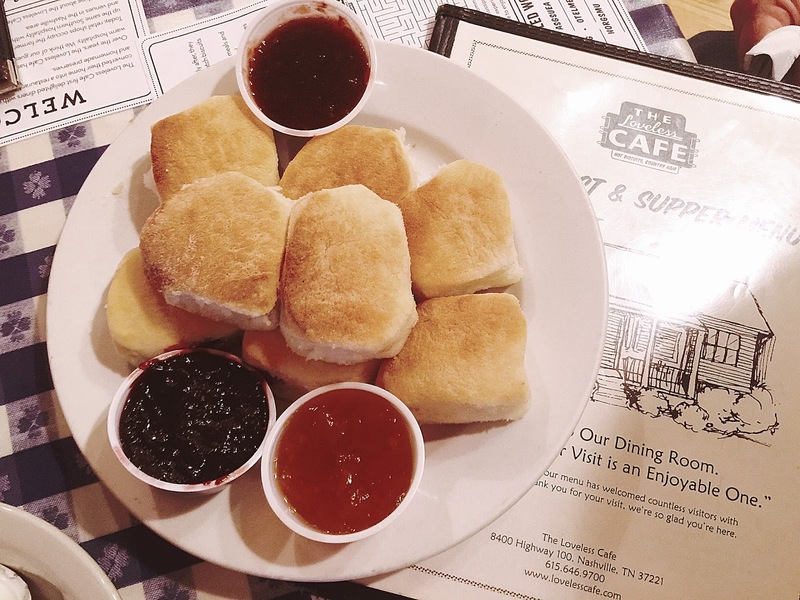 On a whim, we decided to drive to Loveless Cafe and this time we were not disappointed in our meal. Loveless' famous biscuit maker, Carol Fay, is no longer there making the biscuits for which the restaurant is so famous, but I spied this lady who seemed to have the technique mastered. And here are her creations. Of course, those Loveless jams are not too shabby either. We had strawberry, blackberry and peach. The peach was our favorite. I loved my spicy grilled catfish with marinated cucumbers and onions and turnip greens. Scott had a pork chop which was excellent. It was thick and marinated in a delicious sauce. Malinda and Greg liked their lunches, too. 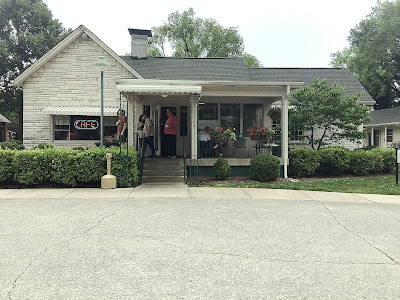 From Loveless, we headed back to Franklin for more shopping, resting and getting ready to drive over to Leiper's Fork. 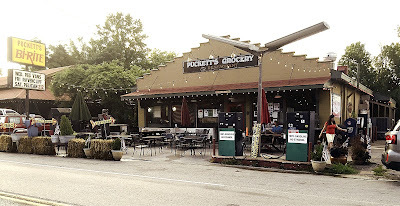 I had made reservations at the original Puckett's Grocery and that is really all I knew about it. When I called for the reservations, they charged me a cover charge because, I was informed, there would be a band playing. Ok, that sounded fun. When we pulled up at Puckett's Grocery, we weren't sure what to think. It really did look like what it was, an old country grocery store. We made our way in and were seated at one of about 15 tables. Our server presented the menus, which were not extensive at all, so it really didn't take us long to make our selections. We ordered some fried pickles and pork skins to get started. I decided to run with an oyster poboy and Scott decided to try the barbecue. Malinda got the hamburger and Greg had brisket which Malinda tasted and said was very good. While we were eating, we noticed a bunch of kids coming into the restaurant. They were dressed in sequins and shiny fabrics and I wondered what on earth they could be up to. Malinda said she thought some school group must be going to entertain us. I was pretty sure I was going to hear about my great choice when the night was over. But then an amazing thing happened. Those kids jumped up on stage and this happened. The band was called Pelican 212 and they were nothing short of amazing. Under the leadership of 33 year old Katie Rees, the oldest sister out of ten in the Rees family from Louisiana, Pelican 212 is about as entertaining as it gets. The 7 siblings (3 other siblings are not regular members of the band) sing and play trumpets, drums, guitar, trombone and accordion. In fact, every single member of the band seemed to be able to vocalize and play multiple instruments. In addition to Katie, the rest of the band included 14 year old, Angelle, 12 year old twins Max and Kolbe, adopted siblings Giovanni and Marie and 10 year old Mollie. I'm not sure how the family managed to pull off adopting two children with so much musical talent. The Rees family could adopt me and perhaps teach me to play an instrument, but they could never get me to sing like an angel. Each member of Pelican 212 brought their own incredible musical talent to the group. This family has some kind of magic musical fairy dust! Amazing! At one point, the mom of this entire troop, Linda Rees, also got into the act. Seriously, she looked like she could have been one of the siblings. Other family members took turns joining in. Their older brother, Johnny, jumped in to play drums for a couple of numbers. The kids Aunt Kit, their mom's sister, was also encouraged to join the band on stage. Was there no one in this family without musical talent? During the intermission, Linda and Katie stopped by our table to chat. We told them how impressed we were and how much we were enjoying our evening. We also took the opportunity to offer a bit of encouragement. Greg and I both told them we fully expected to see them on television some day. The band played for 2 hours and those 2 hours flew by. After we left Puckett's Grocery, I decided to google Pelican 212. Imagine my surprise when I read this little band had already made television appearances on Little Big Shots, The Tonight Show, America's Got Talent and the Presidential Inauguration. So much for our encouragement. Laughing at our helpfulness, we headed back to the hotel to get rested up for the following day. If you ever get a chance to see Pelican 212, go! You will not be sorry! For our last morning, we decided to have brunch at a place Malinda and Greg knew about. It was called Mere Bulles and was located in an old house on a former horse farm. Mere Bulles was a wonderful choice for brunch. The setting was lovely, the selection of food was large and absolutely delicious. 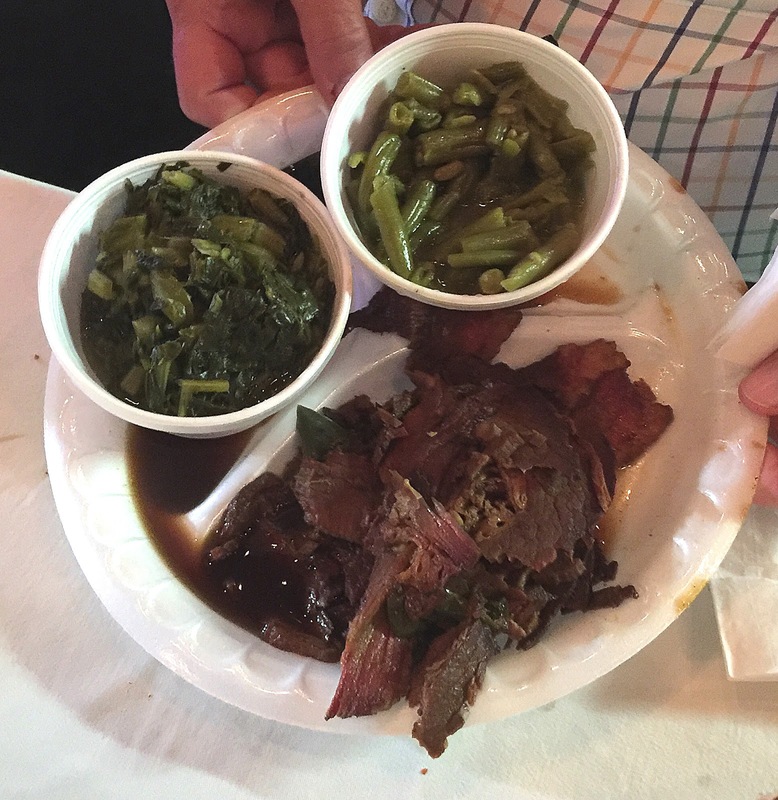 There was a table for salads, a room for desserts and all kinds of entrees and sides. From made to order omelets and eggs to crepes, pancakes and waffles, fish, meats, vegetables, fresh fruits, hash browns and biscuits and gravy, there was something for every taste. Some of our favorites included the crab bisque and crème brulée French toast. I especially loved the chocolate fountain! Stuffed and happy, we made one last stop at The Factory to check out the Franklin Farmer's Market and make one last visit to some of the shops at The Factory. We left with more bags of treasures and goodies and said good-bye to our friends. It was a fun weekend and I am so happy we made time to visit Franklin and Made South. After we left Greg and Malinda, Scott and I went back downtown and stopped in a few shops that happened to be open on Sunday. As the weekend wound down, the clouds started to gather, so we figured it was time to bid Franklin adieu. Until next time, Franklin!